Today... 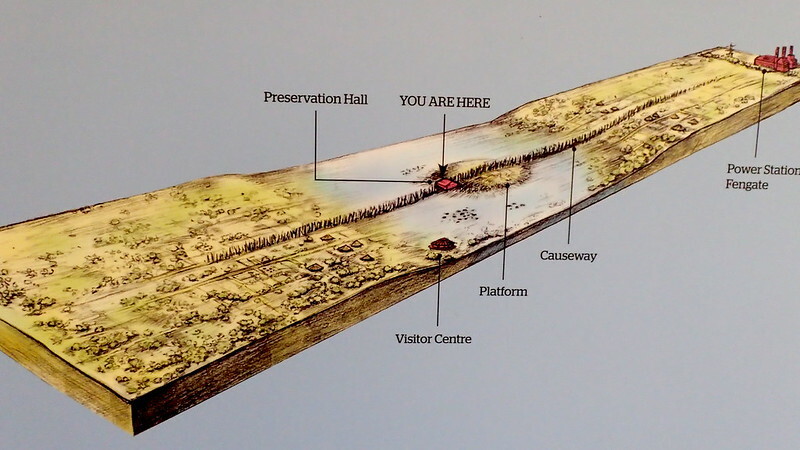 I managed my first visit to the Flag Fen "archaeology park", for maybe nine or ten years. This park was inspired by a number of finds here, lead by Francis Pryor. Pryor and his team excavated prior to cable and pipework laying for a new gas fired power station at Peterborough. 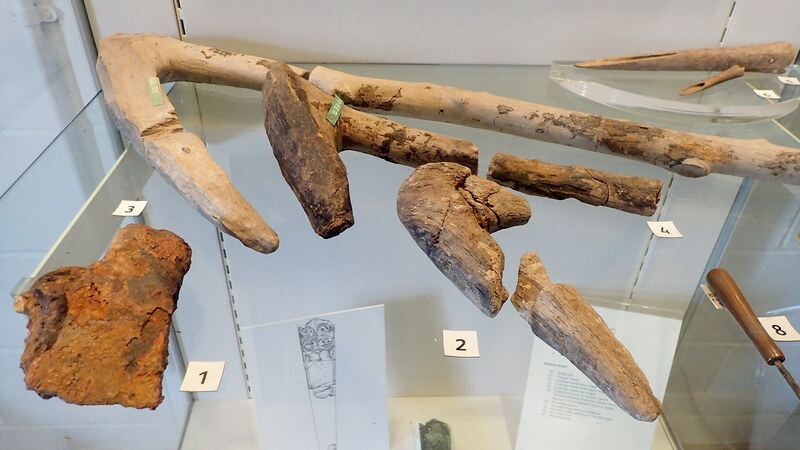 They found a large number of well preserved (in the moist peat soils) felled and cut timbers, that using dendrochronological methods, they dated to between 1400 BC and 900 BC, during the mid to late British Bronze Age. They created this wetland, or recreated it, in order to conserve and preserve the archaeology that the excavation revealed. To keep it wet. 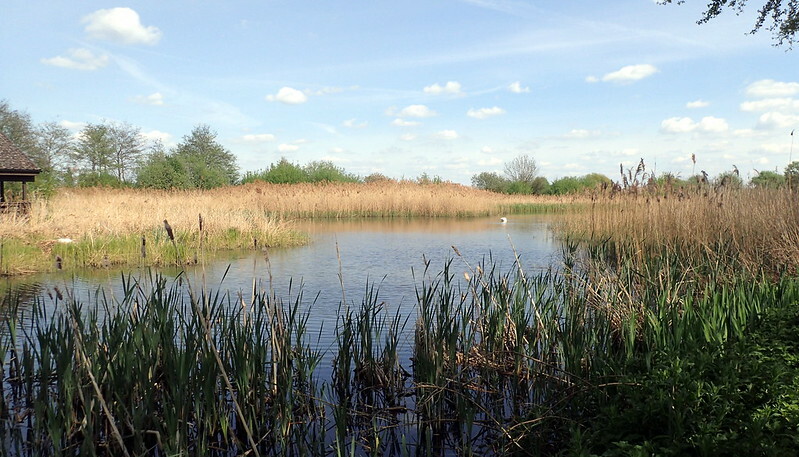 The Fens are an area of Wetlands that have been increasingly drained over the centuries. The concern is that timber archaeology like that found on this site, is quickly perishing now. 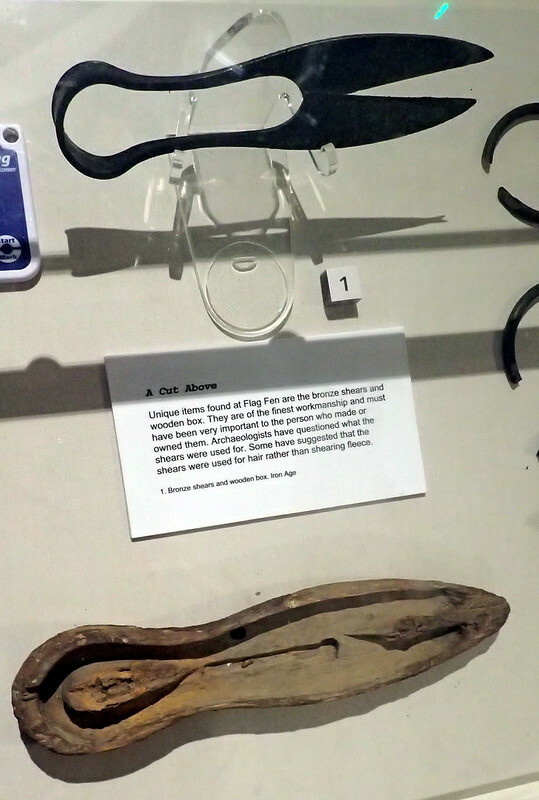 These shears were found with their preserved wooden case here. 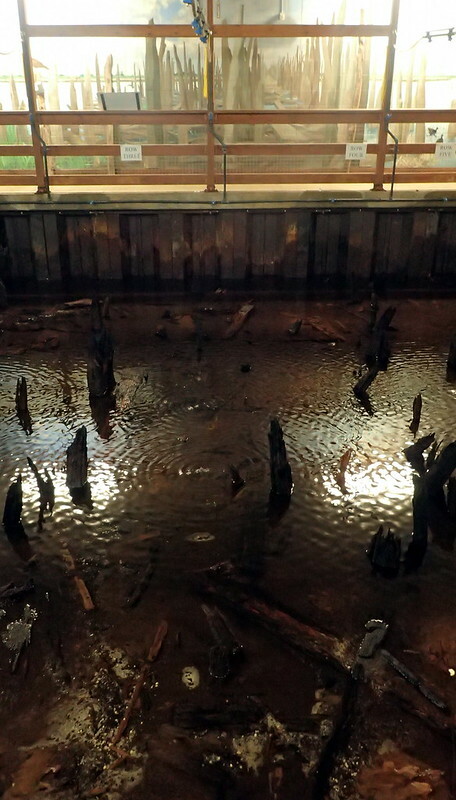 Flag Fen was a timber palisade, that crossed a flooded area, with a wooden platform in the middle of the new lake. This platform was surrounded with lots of deposits, many in bronze - swords, axes, blades, etc. Many of these tools had been snapped or damaged. The excavator suggested that this was ritual. Removing sacrifices from the world, to that mirror world below the water. It revokes the Arthurian tale of the Lady and the Sword. Yamna theorists should love this one. As far as I know, the earliest dated actual wheel found in the British Isles. Okay, we know they were around longer - but this wooden wheel dates to 3,000 years ago. A reconstructed, and aged ... Bronze Age British roundhouse. I'm not sure though if roundhouses have been dated to the Bronze Age. 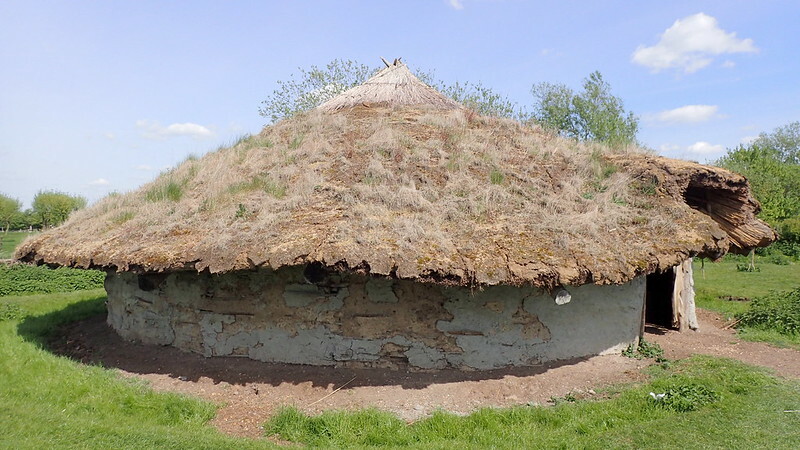 Certainly a feature of the Iron Age - the roundhouse was strong enough to resist British weather. The lower photo shows it in it's wetland Fennish environment. 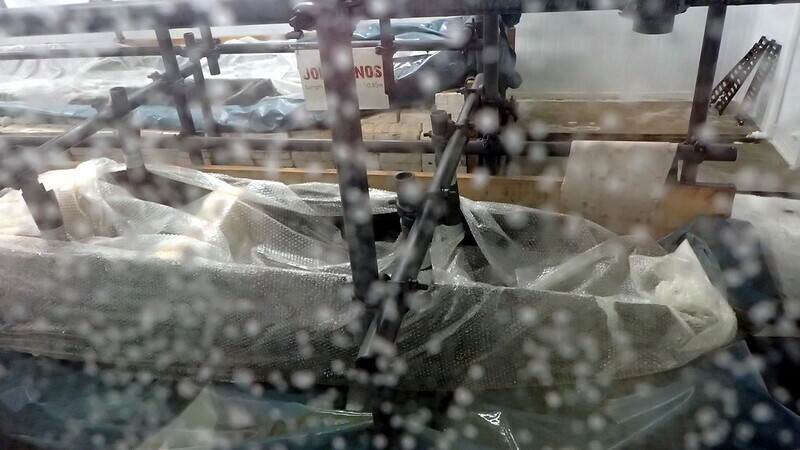 Some of the preserved (using constant water sprays) timbers of the palisade leading onto the platform. The opposite wall displays an artist's impression of the timbers above water level. 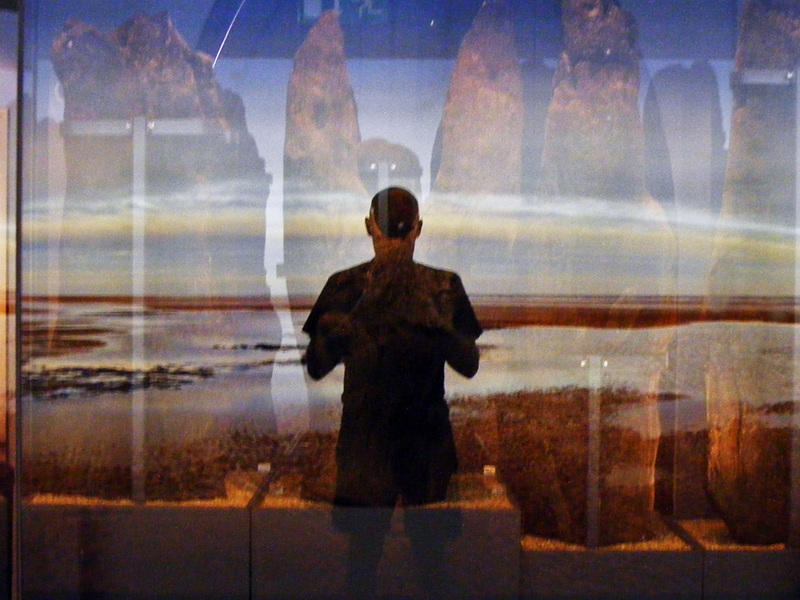 Pryor suggested that with rising sea levels threatening the rich pastures, that Bronze Age farmers here constructed this platform in order to make scarifices and to perform rituals, to try to control the flooding, to turn back the rise in water levels, and maybe at the same time, to celebrate that life above water, and life below water - as in life and death, a mirror. 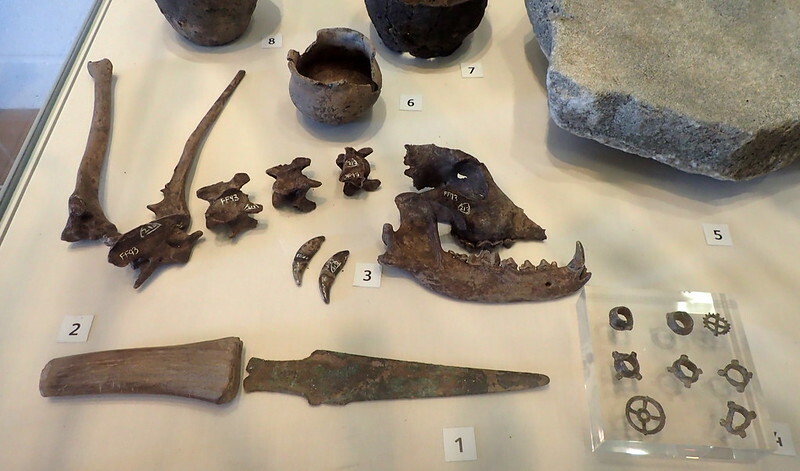 Some of the artifact finds. 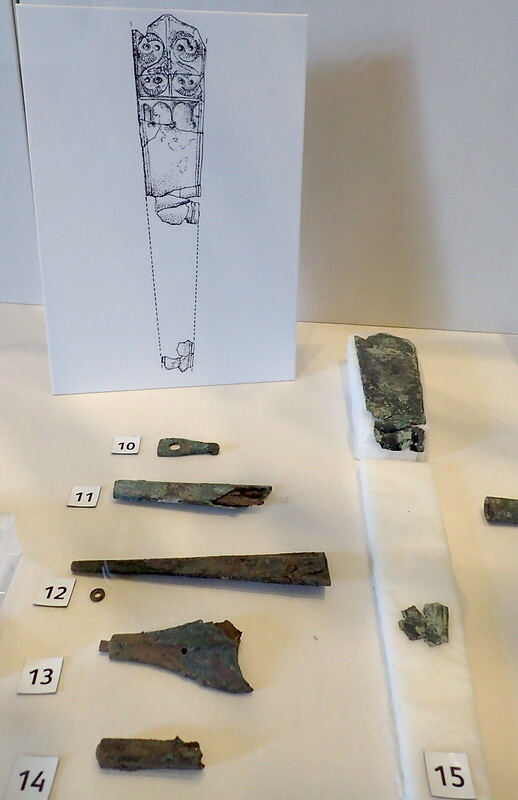 More artifacts, including bronze axe handles. 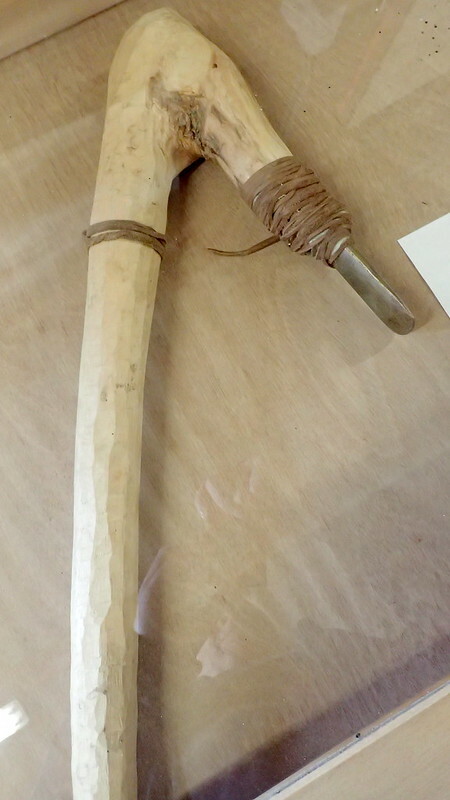 A reconstructed Bronze Age axe composite. Anyone that has ever read archaeologist Francis Pryor's reports, will know that he is very keen to relate prehistoric archaeology to farming. 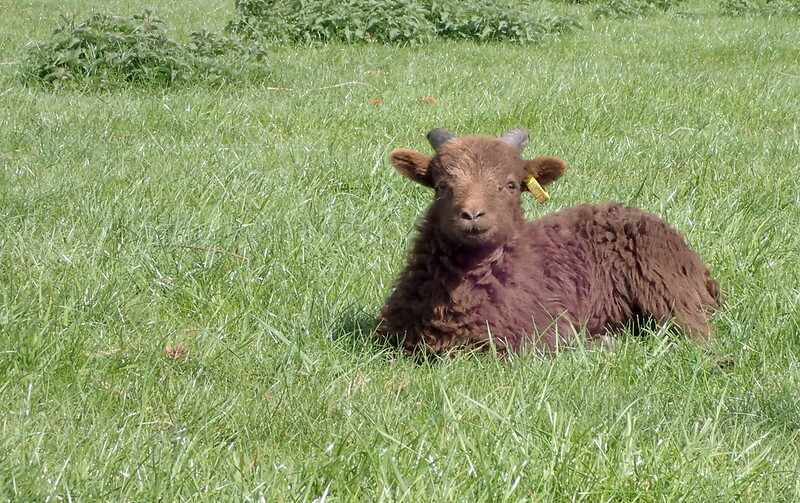 Here, a soay lamb rests in the Sun. They keep a flock here as closest-to-period sheep that the Bronze Age farmers most likely bred here. Photo taken by myself at Kings Lynn in 2008. 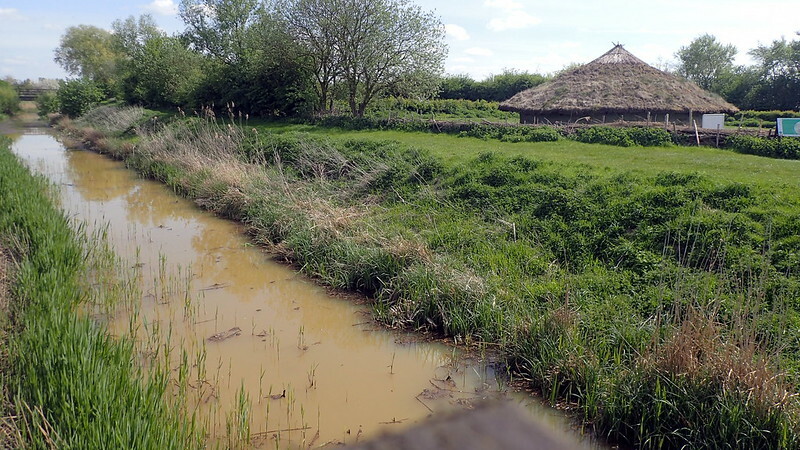 Currently though, they are hosting the preserved timbers of a number of finds from another Cambridgeshire wetland excavation - from Must Hill Farm. 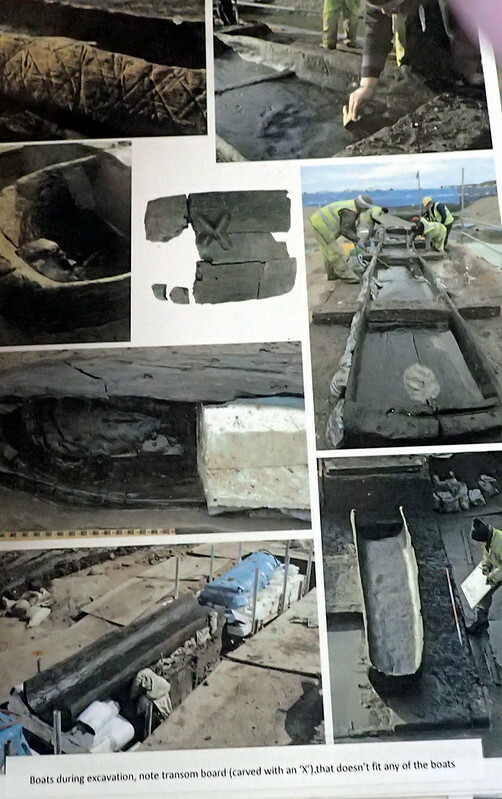 The above photos were taken during the excavation that recovered a number of log boats dated to the Bronze Age (from 1,500 BC) through to the Iron Age. 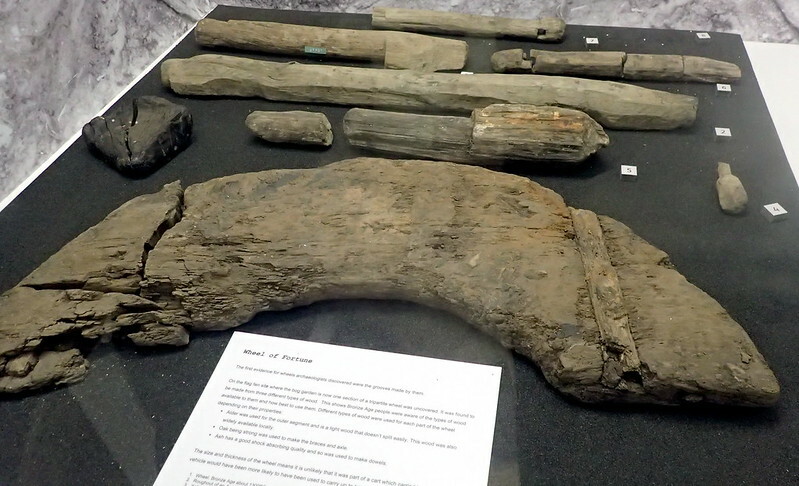 These log boats were clearly made using bronze axes like those above. A large number of well preserved eel nets were also excavated, suggesting that fishing was important to this Bronze Age community. I hope that some of you enjoy sharing my photo tour from today, especially those that share ancestors here, but live far away today.